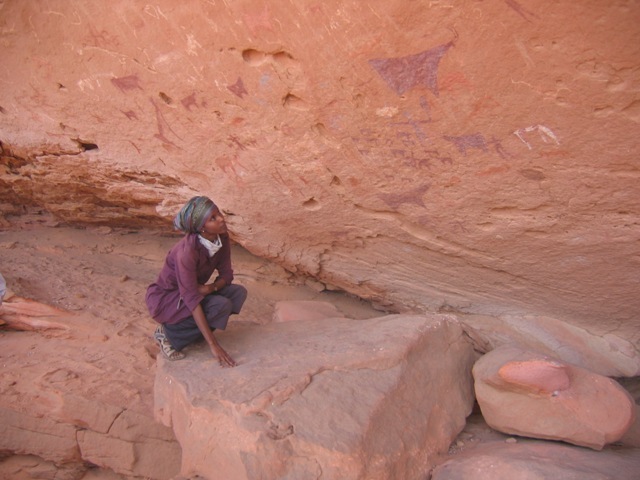 Sada Mire is the world’s only Somaliland archaeologist, who has taken on the task of telling Africa’s forgotten stories hidden in some of its undiscovered ruins. Fuelled by her passion to see the image ofAfricamove beyond the one-dimensional narrative of poverty, famine and wars, Mire believes Africans must record their history and preserve their heritage so future generations can learn and be proud. Belinda: You are the world’s only Somali archaeologist and that makes your work unusual. When did you fall in love with archaeology and knew that’s what you want to pursue for a career? Sada Mire: My interest in archaeology started when I was living in Sweden, which has a very Scandinavian culture. At school, we didn’t have any classes on African history and being the only black student in the class, I felt left out, my history was left out and I wanted to know more. I did some research and I came across a book by Basil Davidson, Africa: The Story of A Continent and I saw the images of Ashanti people holding and wearing gold, the sculptures of Ife, Nok and Ethiopia, and it was a whole new world opening up. I thought it crazy that we knew nothing about this in school. I soon realised there wasn’t much study about African archaeology or history. Its like there were all these previous civilisations, which colonialism has taken away from us and one of the passages I read was that in order to understand African history, there needs to be archaeologists who excavate the history of Africa. There is what the English wrote, what the Arabs wrote but where is what the Africans wrote? And that made me want to study it. Belinda: What’s the story about Somaliland, Africa, its archaeological history and heritage that you want to tell the world? Sada Mire: Many people have an image of Africa or parts of Africa being very much the way they see it today, and that image is projected into the past. Slavery is projected into the past, colonialism and inferiority mentality is projected into the past. Poverty, drought and the problems we are aware of in the last two centuries are projected into the very far past. My research into heritage in Somaliland, Egypt and Kenya is about showing that this continent and the people living in the different regions may have not always been that way, good or bad. What I want people to know for example is that research is now showing that Africa was, if not the first place, one of the first places in the world to melt iron and be involved in iron production. We never had bronze, in other parts of the word, the typology is that first, you have Stone Age culture, then you have bronze and then iron. But inAfrica, we moved from Stone Age to iron at the same time others were using bronze before they knew about iron. So, I want people to know thatAfrica was at the forefront of technological development in the world and contributed not only slaves but technology and knowledge to other cultures. It was not just always the recipient that we know it as today. Belinda: You are passionate about taking the focus away from the famine, wars and the negative stories we hear about Somaliland and Africa, how do you hope to use your work to tell a different story? Sada Mire: In Somaliland, there is poverty after the war. This is a country that has been totally destroyed. This is my Somalia and I say my Somalia because I’m from Somalia and grew up in Mogadishu. In Somalia, we still have a war. I went to Somaliland because that is the only place where I can actually do my work. There is peace there and we are working on developing different sectors in society; healthcare, economic development and education. Since it’s not a recognised country, it does not have support and humanitarian assistance that a country, which is part of the UN would have. I’m trying to get people to realise the importance of heritage and guide them in that context. I go to the rural areas where the sites are based. When they see my work, they realise the discovered sites are important and could become potential world heritage sites that can help them to develop economically, educationally and help them in their identity building. 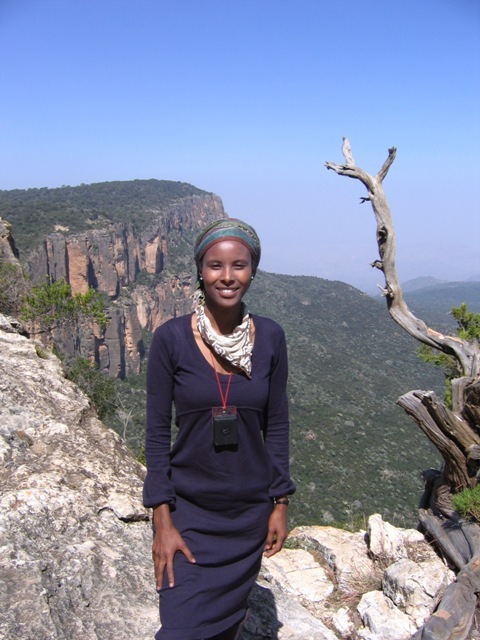 Belinda: How do people receive and respond to you as the world’s only Somali archaeologist? Sada Mire: The main reaction is ‘but you are a woman,’ and a woman, all over Africa, doing archaeology is not something that people see everyday. They often haven’t even seen a male African archaeologist, let alone a female African archaeologist. So it’s a bit strange. In Somaliland, we have the Islamic element – you shouldn’t really be climbing a mountain or take on the physical elements of the nitty gritty work. For them, this is not something women do. They are like, she is with 20 men and disappearing into the mountains, it’s like what are they doing? That’s the mentality but hopefully, it’s changing. I remember going to a meeting in Kenya with UNESCO, and a lady said to me, ‘when I arrived and heard Sada Mire, Director of Antiquities in Somaliland, I was waiting for a big mama.’ It was a funny experience because she is also Somali and recognised the name. Belinda: What are some of your most interesting discoveries to date? Belinda: At the Dhambalin site, you discovered one of the earliest known depictions of a mounted hunter inscribed on the rocks, elaborate on that finding and how you feel about the discoveries you have made to date? Sada Mire: When I discovered the Dhambalin site, it was absolutely incredible to be the first person to see it. However, the interesting thing is and I say interesting because the horrible aspect that I usually don’t talk about is that it’s quite dangerous doing archaeology in Somaliland because the parts where the archaeology is, is where there are snakes. There have been situations where we have been close to falling off a mountain because there are no proper roads. There was a time I climbed a mountain and I didn’t know I was suffering from an ear infection and you lose balance when you have an ear infection. It was the most awful, rockiest and it was mid-September and it was about 51 degrees, it was one of the worst days of my field work. We have had a car crash. There are all these elements but the discoveries are amazing and you have to be careful and have guiding angels. Belinda: Why must we, as Africans begin to take note of these findings and document them for future generations? Sada Mire: Things are changing and it’s important forAfrica and Africans to preserve this now and write their history because in the future, our children need to know. We cannot take it for granted. We have to preserve our heritage. That’s who we are and what defines us. What defines different countries and people? It’s what they have, their history, their struggle and contributions to the world. This is about our past. It’s not just some ruins somewhere. It’s our knowledge. It’s not something we need to find in a book or somewhere inCambridge. It’s our history and heritage. It’s something that is ours. Belinda: You are a consultant to the UN and have taken on the task of building Somaliland department of tourism and archaeology, what compelled you to start such a humongous project? Sada Mire: When I went there for my Phd field work, I discovered that there was so much archaeology and it needed to be protected, preserved and researched. The problem is that no one was funding culture inSomaliland, not even the government. So after four years of giving talks and screaming and running all over the world and telling everyone what is happening, the UN decided to fund my position with the government. Belinda: Has the history of slavery, poverty and challenges faced on the continent, contributed to African heritage being overshadowed? Sada Mire: In Somalia, we don’t have the very explicit slavery history that West Africa had but definitely, in general, the status of African heritage and history, the condescending neo-colonialist approaches to it, so I would say yes. Even the people who are trying to help us sometimes, are doing it for the wrong reason? So, that type of lack of understanding of African heritage and appreciating it for its own rights and what it is rather than saying it has connection with India or China. Belinda: Do you feel all eyes are on you because your story is so unusual and due to the history of your country of birth, that puts pressure on you to do a great work? Sada Mire: When I was writing my PHD and didn’t have financial support because people thought ‘What? You are doing a PHD on archaeology in Somalia? There’s a war going on there. Why would you care? You are in drought, poverty and famine, why would people like you care about archaeology?’ These type of attitudes contributed to the fact that I didn’t get funding for my project. It was very difficult and at the time, I remember every now and then, a Somali person or another individual would read about what I was doing, and send me an email saying what you are doing is good. That would lift me up. But in reality, the situation was very difficult and extremely challenging. My Phd was supposed to be done in four years but I finished it in three years because I didn’t have the privilege to sit, contemplate and relax. I had to get on with it. While there was a financial pressure when I was doing my PHD, now, people’s interest in my work is no pressure for me. When people write me to say, can you tell people that we were like the Egyptians, we had this and that, it’s just nice to know that people really care about their heritage. The only pressure I feel is in the sense of actually being one, me on my own doing this. I wish there were thousands of me that would help save so much more. I feel inadequate in that sense because there is so much to be done. Belinda: You have invested a lot of time studying your craft and you are bringing the world’s attention to this story. What would you say to African parents who are apprehensive of their children pursuing careers that are not the norm? Sada Mire: My opinion on that is that we live in a globalised world, we are questioned as to who we are everyday. History is not static, it’s changing. But the past is not changing. The past has been the way it’s been and we need to find our own heritage, knowledge and ways of doing things. Poverty has been the main thing inAfrica. So, people worry about ending up in poverty. Hence, what people trust is education and that’s why they are very keen on their kids becoming a doctor or lawyer, because they feel they would be able to manage as worry leaves the parents when they get a good degree. But I think, at the end of the day, life is very short and our worry, in the 21st century shouldn’t be just what to eat and have a shelter. You can work in a McDonalds and survive. But who are we? What type of position do we have in society as black people, as African people? What type of heritage do we have? Should we always aspire to what the white people told us before? When are we going to set our own agenda? When are we going to have children that are proud from day one rather than when they a degree in medicine or law? That is not what should make us proud. What should make us proud is knowing who we are and actually making and using that to give us food, deliver housing and healthcare because in the western world, there are so many people who work in the arts and have extraordinary careers as archaeologist, anthropologist, musicians, singers, dancers. Teaching our past, researching our past, understanding our heritage is what should make us proud from the day one when we are born rather than what we will acquire through struggle. And I think we need to get to that level of confidence as people and parents need to think about that. This entry was posted on Wednesday, October 12th, 2011 at 11:44 pm	and is filed under Africa, Art and Culture, Interviews, Journalism, People, Women. You can follow any responses to this entry through the RSS 2.0 feed. You can leave a response, or trackback from your own site.